We are very happy and proud of the art & design movements that are going on in Saudi at the moment, starting with Saudi Art Week which took place in Jeddah and Saudi Design Week which will start tonight in Riyadh at 6:00pm. 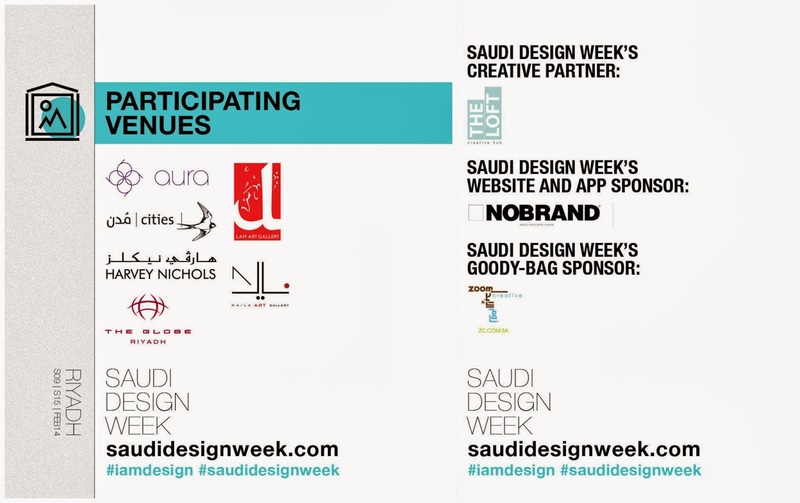 We at Lamodarabia are wishing Saudi Design Week and all the organizers, sponsors and speakers the best of luck! The ﬁrst edition of Saudi Design Week will take shape as a boutique fair with venues all over the city of Riyadh. SDW will host a series of events across the capital, which will sweep multiple disciplines from decorative art, design, art, photography, typography, and fashion. 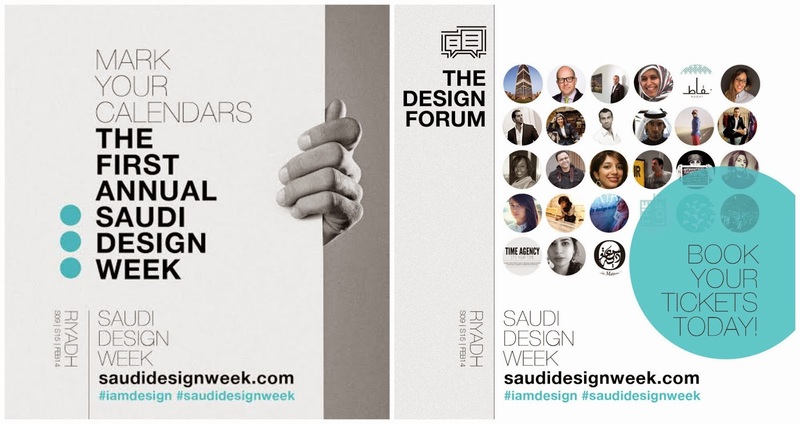 SDW will also host the ﬁrst Design Forum, which will bring together luminaries from the ﬁelds of fashion,, design, art, and business to discuss, explore and debate some of the most pressing issues facing the design ﬁeld in the region today. The forum will act as a center stage for a series of stimulating speeches, panel discussions, presentations and Q&A sessions to generate an enriching dialogue and set the tone for future editions of SDW. Riyadh, Saudi Arabia (January 20, 2014) – Saudi Design Week’s inaugural edition, created and organized by Oasis magazine a premier arts & culture magazine from Saudi Arabia in partnership with the King Faisal Center for Research and Islamic Studies an independent, not-for-proﬁt institution ﬁnanced by the King Faisal Foundation, will host a fair that is devoted to the world of art and design, with a special regional ﬂavor. With a series of open events that extend beyond one main venue and will enliven different areas of the city center, Saudi Design Week will gather under a single roof both masters of design as well as emerging talents, both local and international. Making up the very essence of the premier edition of SDW is the Design Forum, a not to be missed platform for exploration, discussion, and debate. 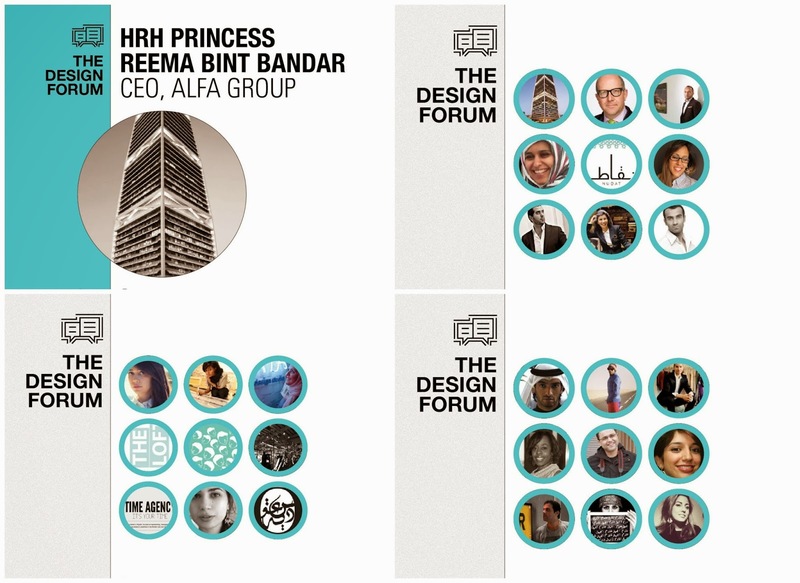 Gracing the Forum are keynote speakers across a variety of disciplines, which promotes a holistic approach to design. Speakers at the Forum include HRH Princess Reema bint Bandar Al Saud, Cyril Zammit, Carla Saliba Badeeh Abla, Abdulnasser Gharem, Dr. Maha Senan, Faisal Malki and many more. 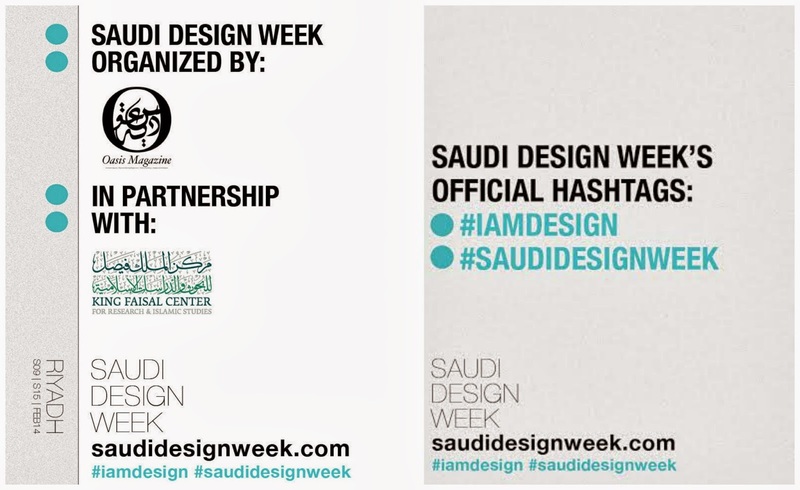 Saudi Design Week will kick off tonight at Lamart Gallery, 6:00pmKSA.